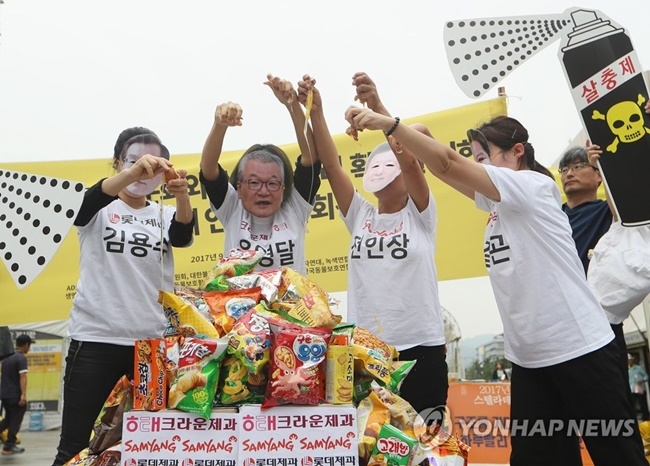 SEOUL, Sept. 7 (Korea Bizwire) — Members of animal rights group Care staged a unique performance protest in Gwanghwamun Square on Wednesday, sending a defiant message to the public that the overconsumption of egg products must stop. 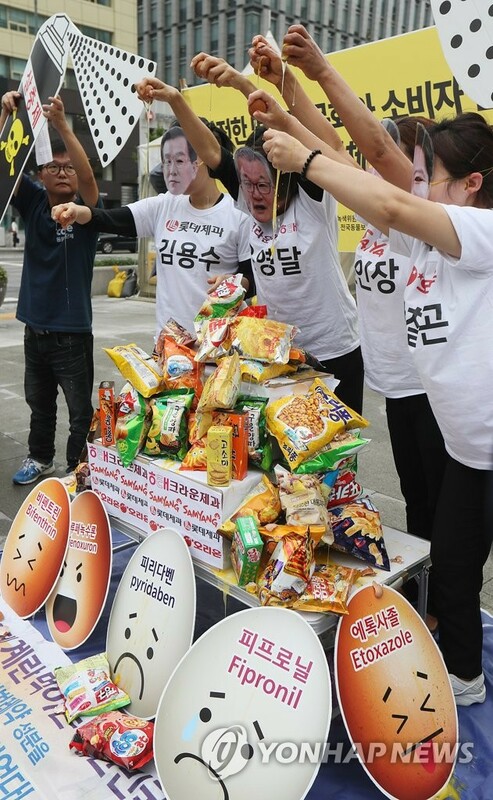 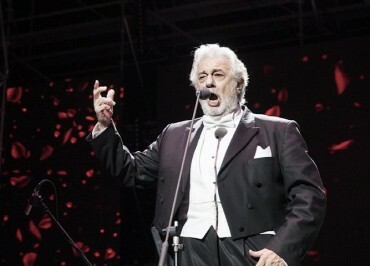 The protest, which was held in the wake of the recent egg contamination scandal that swept South Korea, drew attention from the press over a rather interesting performance, during which protestors sporting masks resembling the CEOs of confectionery manufacturers threw eggs at piles of packaged snack products. The group argues that the overconsumption of eggs, to the point where it’s hard to find food products that do not contain eggs, is depriving South Korean consumers of healthy and safe choices. 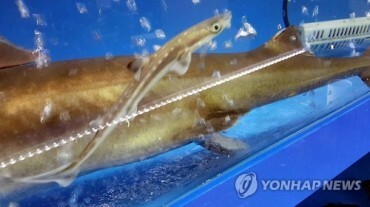 Calling egg overconsumption the ‘root of factory farming’, the animal rights group urged South Korean companies to follow in the footsteps of other countries and manufacture more processed foods without using eggs. The recent egg contamination scandal, which was sparked over the use of the harmful pesticide bifenthrin, is thought to have escalated more quickly that expected due to the abysmal living conditions at most South Korean battery farms.